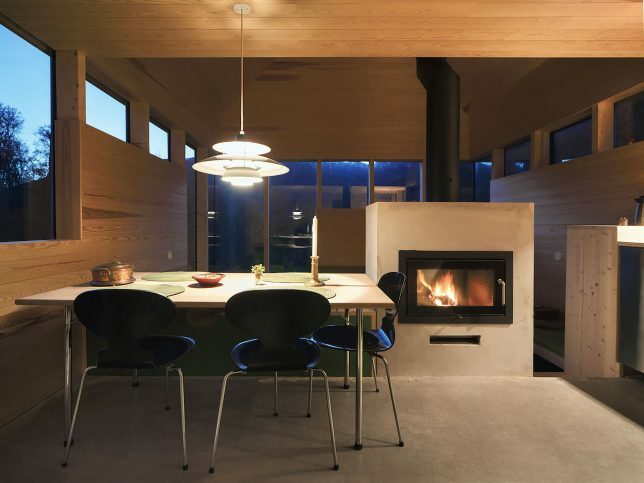 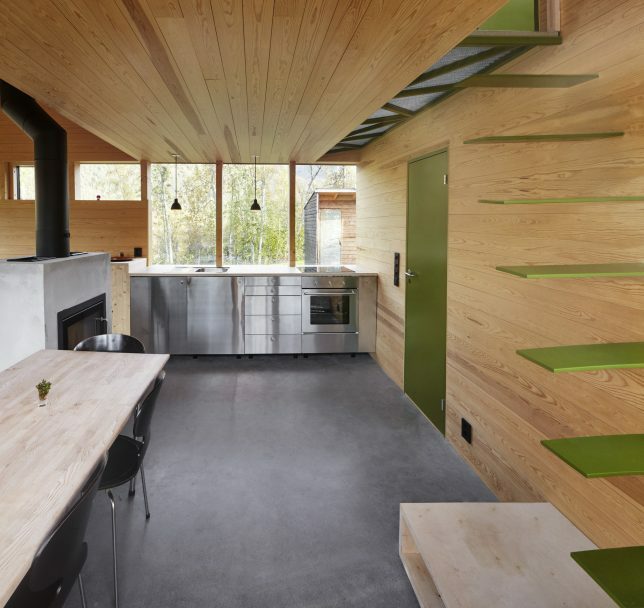 A cabin is defined both by a remote location and a certain rusticity, whether it’s a wilderness hut for hikers or a family retreat, but that doesn’t mean it has to be a basic wooden shack. 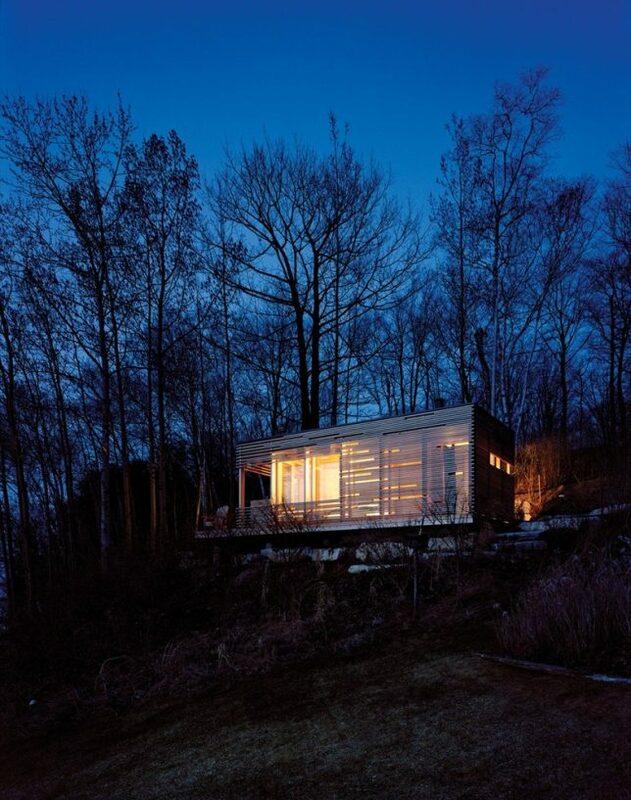 Modern cabin design shakes up this typology depending on the setting and the user’s needs – it could be a geometric prefab on stilts, a glass-fronted structure hovering over a lake, a series of small off-grid buildings that come together into a cohesive whole, or a totally transparent glass room providing stunning views of its island surroundings. 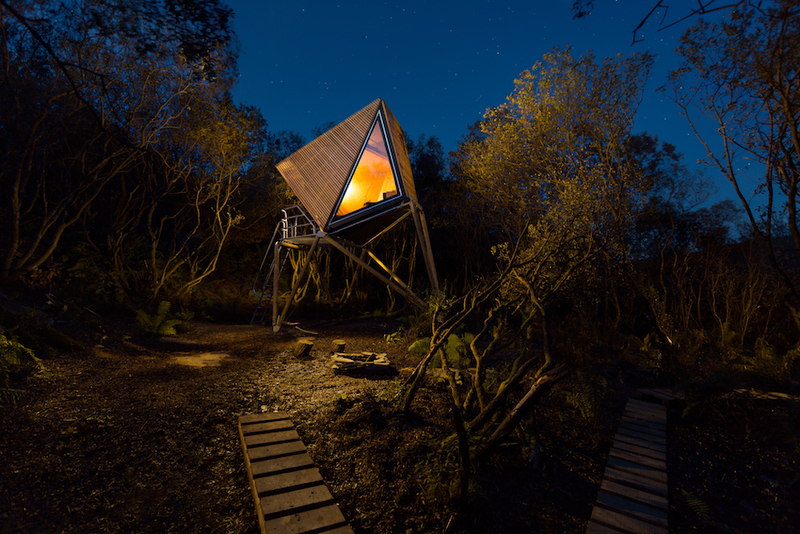 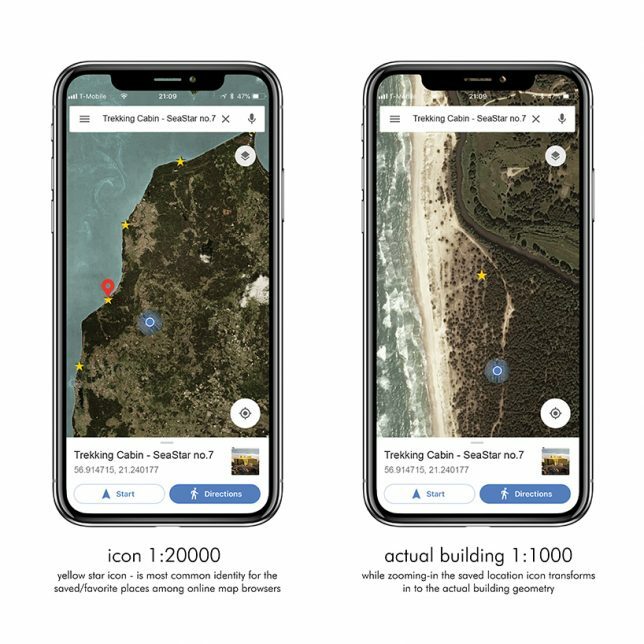 The Seastar trekking cabin by Prescription, set on a Baltic beach, takes its shape from both starfish and the pentagon star icon used on map apps to save locations. 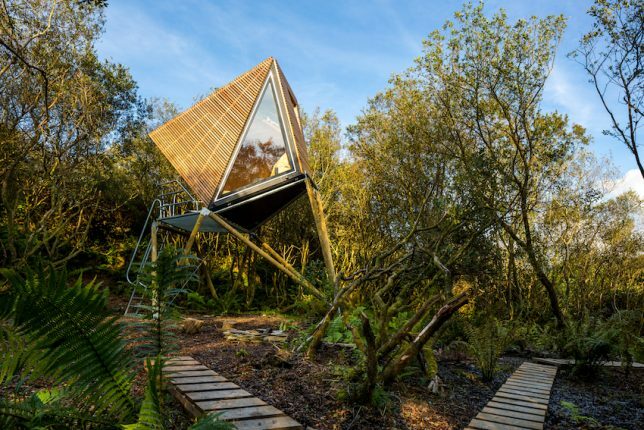 Designed to accommodate four hikers at a time, the off-grid cabin offers minimal amenities including showers using collected rainwater. 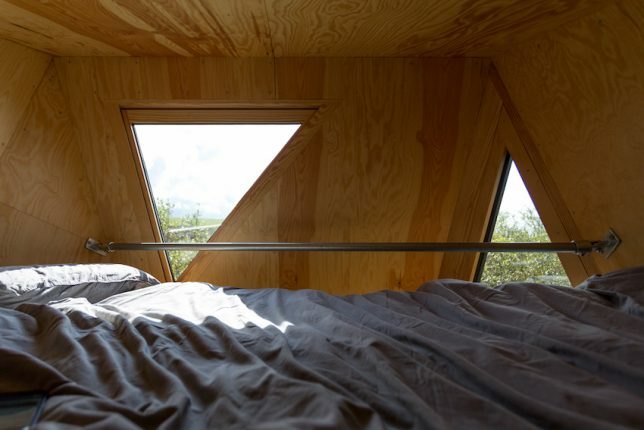 One of the five points contains the woodstove, while the other four offer sleeping nooks for hikers in sleeping bags. 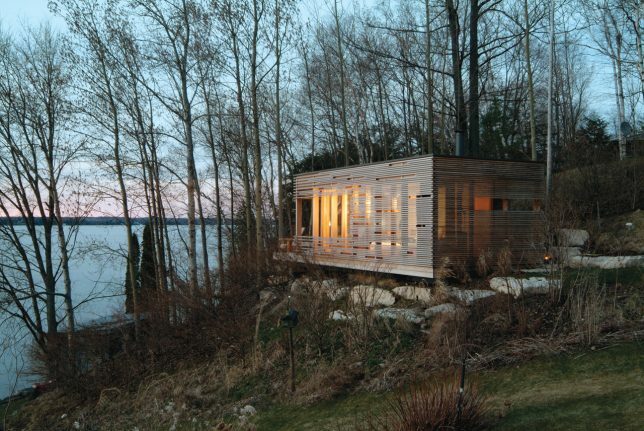 This simple one-room sleeping cabin on the shore of Lake Simcoe by Taylor Smyth Architects combines the rusticity of a hiker’s shelter with the aesthetics of modern homes with the use of a graphic wooden screen. 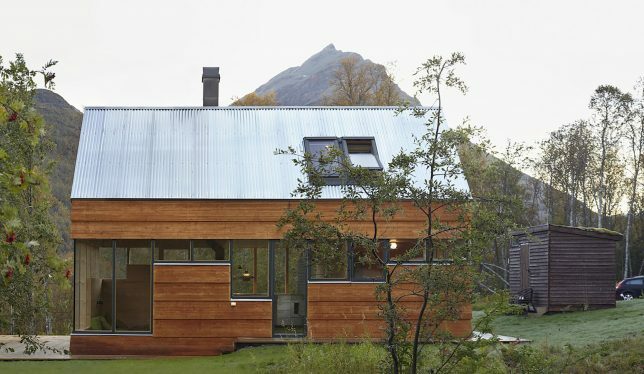 Its inner volume is made of glass, sheltered on there sides by cedar slats and covered with a green roof. 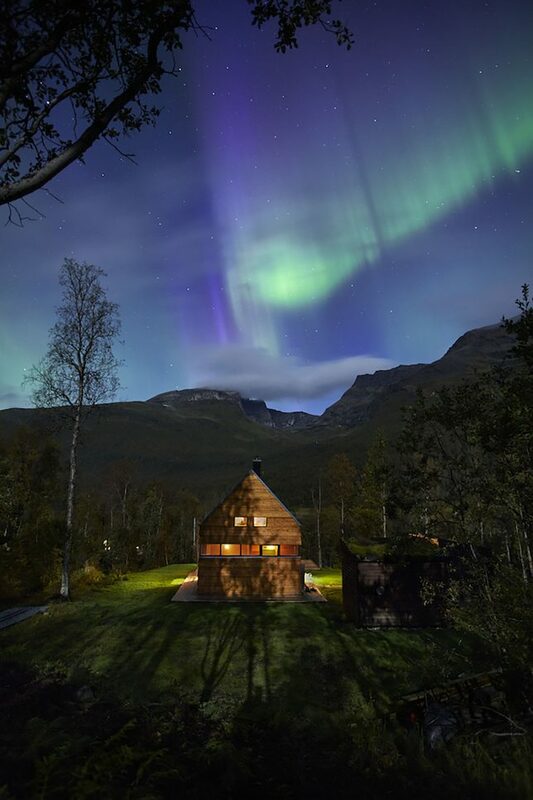 Designed to accommodate large families with a total of 9 beds, Cabin Laksvatn by Hamran/Johansen Arkitekter looks out onto the alpine landscape of Northern Norway. 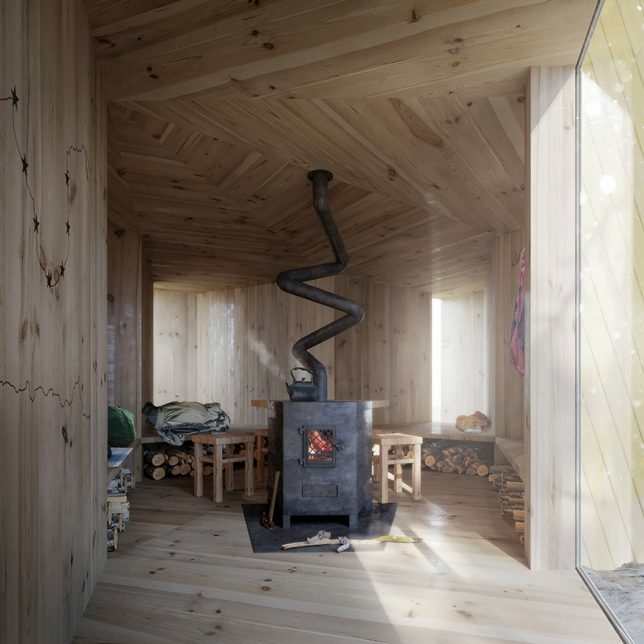 With a footprint of just 150 square feet, the cabin fits all of its common areas onto the bottom level and manages to fit all those beds into nooks beneath the gabled roof. 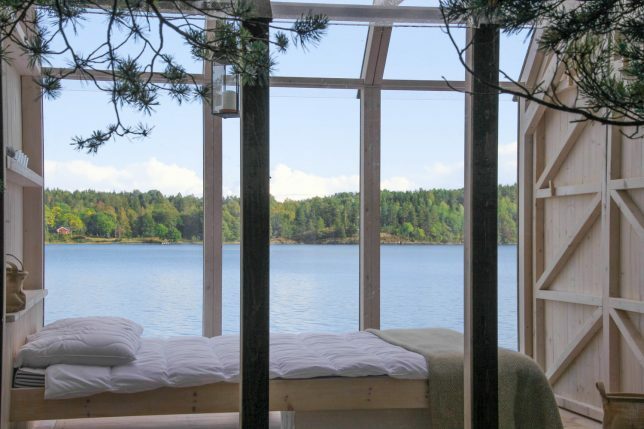 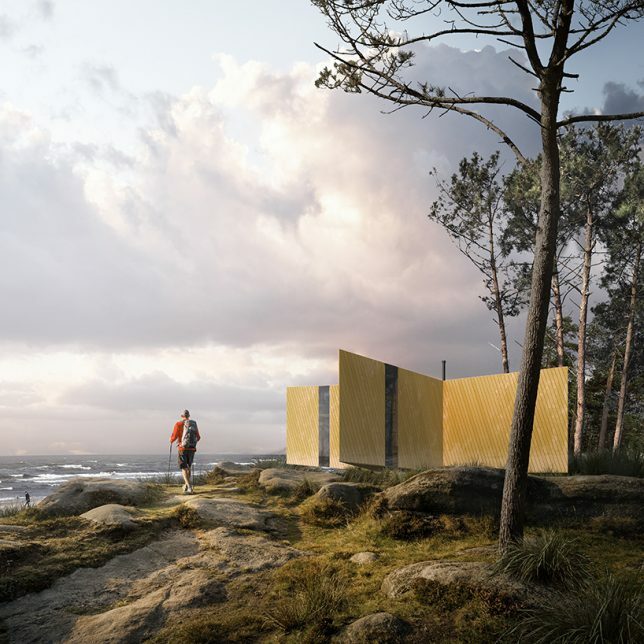 The 72h Cabin by JeanArch has been built in multiples and installed on the shores of a private island, some fully enclosed by wooden walls, others completely transparent to take in the surrounding woods and water. 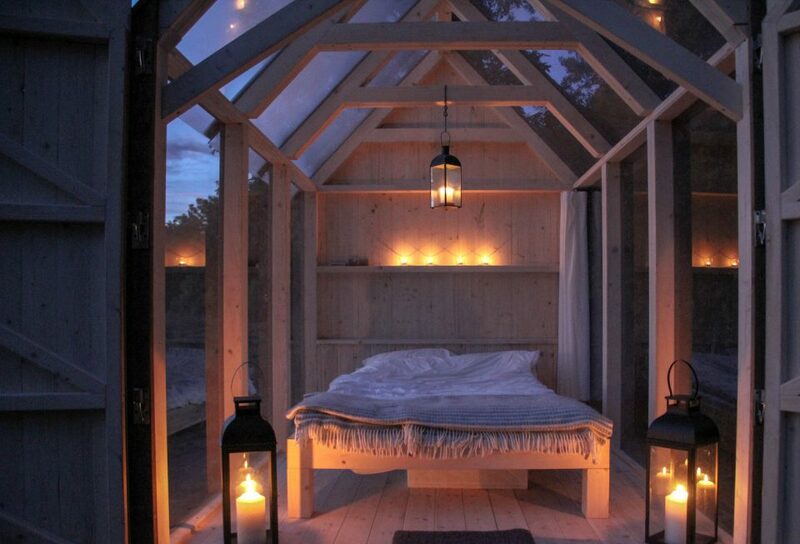 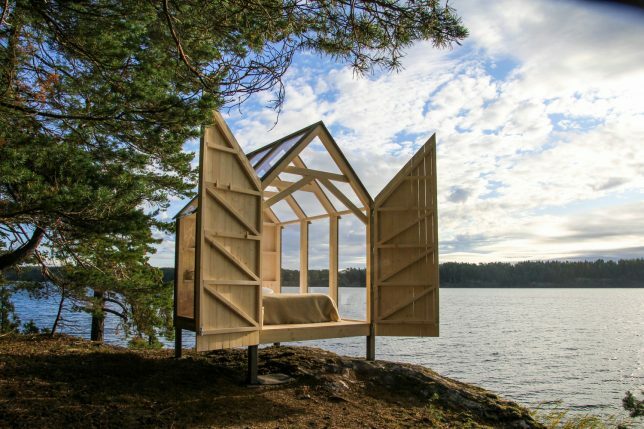 Each structure is made of Norway spruce, the same kind of trees that surround it. 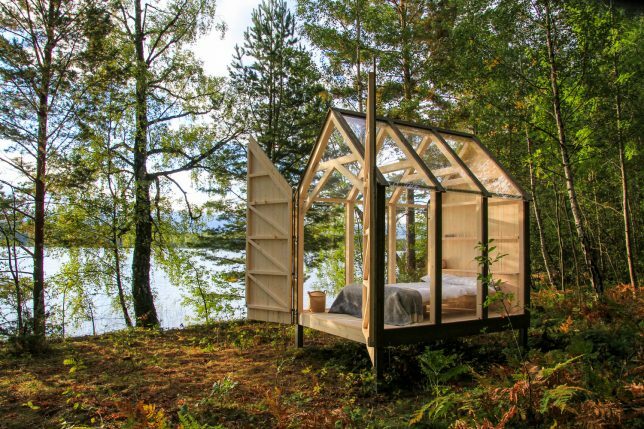 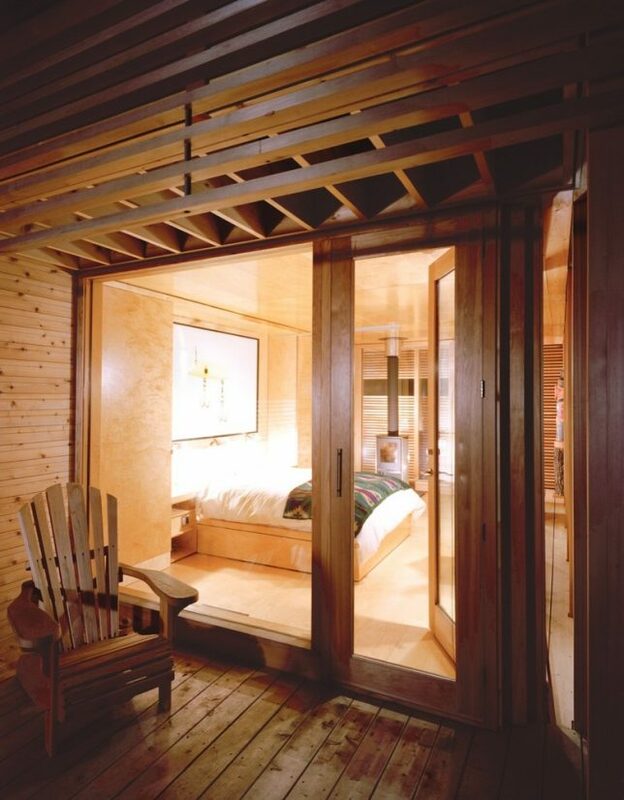 The cabin is named for the number of hours needed to spend in nature to drastically reduce stress, as found in a study by Karolinska Institute.